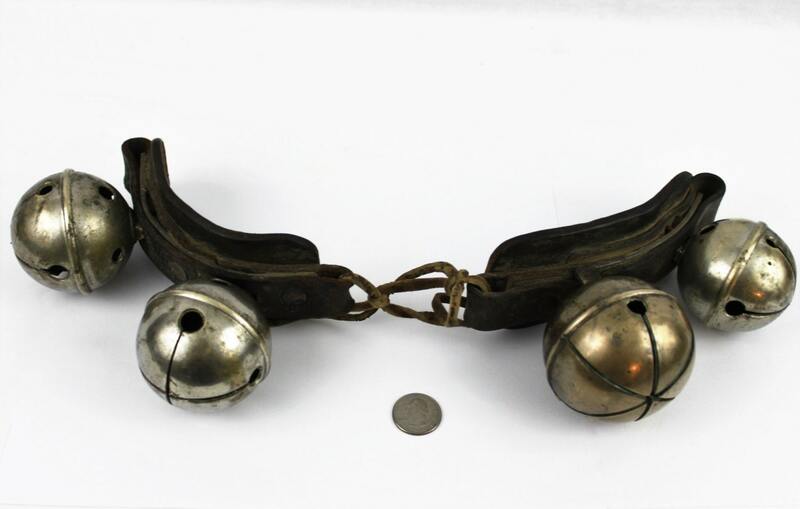 These were designed to lie across the haunches or as a collar on the horse, they are complete with original leather tack and have the most wonderful sound. Found in western Washington State. 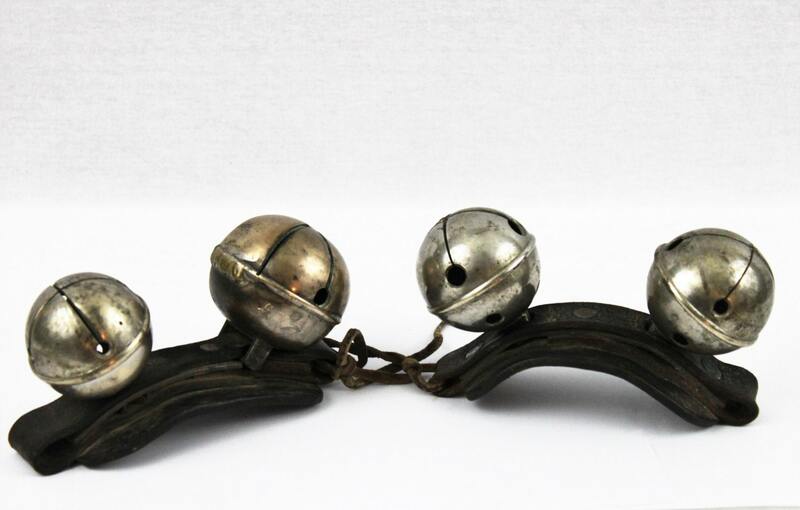 The bells are nickel plated brass and vary in size from 2 ½” to 3” each section is approximately 7” long. 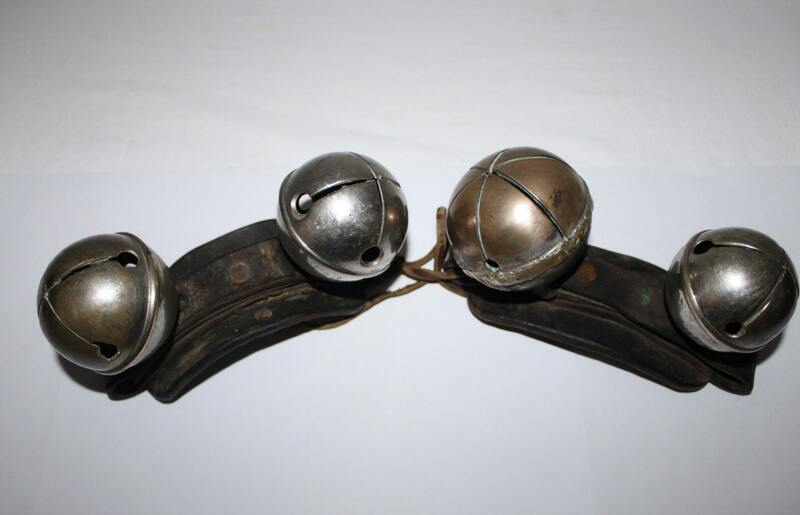 Condition is pure vintage with lots of wonderful patina, the nickel plating has worn off in several places and the largest bell has had a repair (please see pictures) the repair does not affect the sound, and a couple stress cracks bells. There has been a number engraved in two of the bells like an ID number. To see more of our wonderful Antique and Vintage Farm & Garden Items please click the link below.